Encore at Eastlake is a new active lifestyle community in Thornton, CO. With just 140 attached homes, this intimate neighborhood has a tight-knit atmosphere where residents will become fast friends and new neighbors will feel immediately welcome. A clubhouse acts as the fitness and social center of the community. This neighborhood also has a desirable location, being just minutes from Denver. This community provides a luxurious active lifestyle sought by today's homebuyer. A beautiful clubhouse acts as the community's central hub. Indoors, residents enjoy full access to a well-equipped exercise room for staying in shape, while a multi-purpose room hosts community gatherings and clubs. There are also be several ways to enjoy the warmer months with a pool and patio. Walking and biking trails weave throughout the community's parks and natural space, creating a perfect backdrop for early morning jogs. Boulder Creek Neighborhoods began development of Encore at Eastlake in 2015 and has 140 attached homes. These residences range in size from 1,295 to 1,617 square feet and have one or two bedrooms, two bathrooms, and an attached two-car garage. 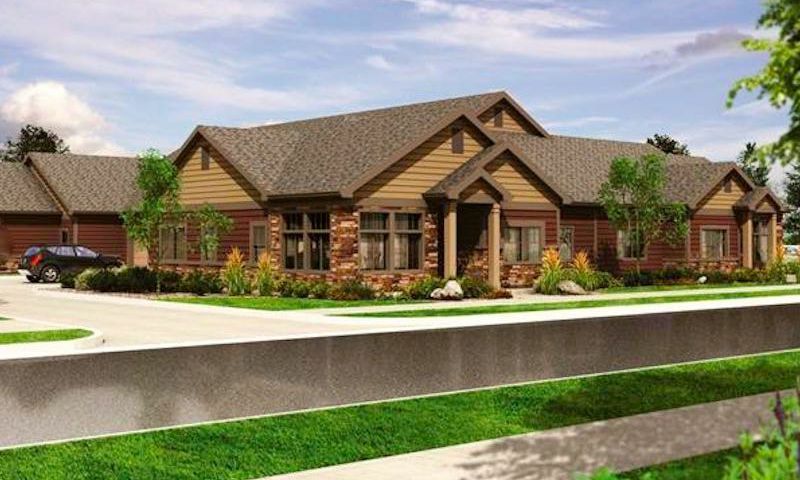 With low-maintenance exteriors, these homes are perfect for the downsizing active adult homebuyer. Homes will also feature single-story living, open floor plans, and flex spaces that can be used as an office. Living within this active community means enjoying a low-maintenance lifestyle. A monthly fee takes care of all yard work, giving homeowners more time to spend as they please instead of worrying about tedious exterior chores. Residents are able to join friends for an event in the multi-purpose room, try a new fitness regimen in the exercise room, or take a dip in the pool on warm, sunny days. As the community grows, there are sure to be more events and activities to keep homeowners busy exploring hobbies and meeting new friends. No matter how you like to spend your days, Encore at Eastlake will have something for you. Encore at Eastlake is located in Thornton, CO. Right down the street are several shopping centers that have restaurants and stores like Kohl's, Walgreens, and King Soopers grocery store. Getting around town is a breeze with Interstate 25 a couple of minutes away. When your next destination is farther, Denver International Airport is just a half hour away. Golfers will love that there are several courses in the immediate area including Thorncreek Golf Club, Heritage Todd Creek Golf Club, and Riverdale Golf Course. Big-city entertainment is a stone's throw away with Denver being only 16 miles from Encore at Eastlake. Denver has several museums, a botanical garden, and live-performance theaters. The city also has exciting and historic neighborhoods that contain more restaurants and boutique shops than one would ever need. Encore at Eastlake is a great choice for any homebuyers who want to be near all that Denver, CO has to offer. Check back soon for more information on the lifestyle in Encore at Eastlake. Encore at Eastlake began development in 2015 and will have 140 homes upon completion. These residences will range in size from 1,295 to 1,617 square feet and will have one or two bedrooms, two bathrooms, and an attached two-car garage. With low-maintenance exteriors, these homes are perfect for the downsizing homebuyer. Please Note: Floor plans are not available at this time. 55places.com is not affiliated with the developer(s) or homeowners association of Encore at Eastlake. The information you submit is distributed to a 55places.com Partner Agent, who is a licensed real estate agent. The information regarding Encore at Eastlake has not been verified or approved by the developer or homeowners association. Please verify all information prior to purchasing. 55places.com is not responsible for any errors regarding the information displayed on this website.